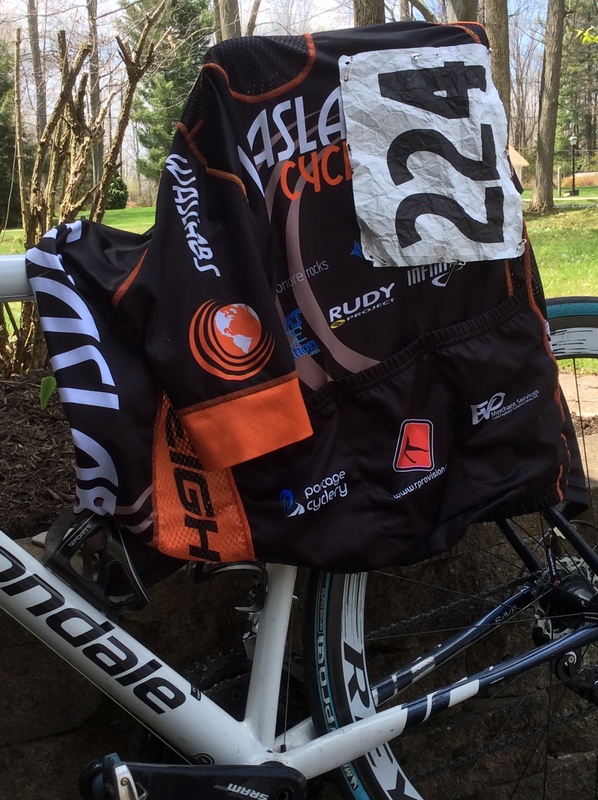 Yesterday I finally pinned on a number and raced again. My number said 224, but the real number was 364: it was that many days since breaking my femur. One day shy of the anniversary. After the race quite a few people asked, “how did you feel”? They didn’t ask about the result. They knew: the result wasn’t important. So, how did I feel? At first it felt as though I’d crashed a party that’s been going on without me for a year. It was a very strange feeling — like I didn’t belong. That’s one of the things about bike racing. You could show up to run in the local 5k after not doing so for a year, and no one would notice. But in bike racing, you race with the same people week after week, ride shoulder-to-shoulder and put a large amount of trust in them. It didn’t take too long to get over that though. And then the breakaway went up the road, containing my former teammate, Tris. And then it felt like ‘old times’ again. But I think the people asking how I felt were really asking how my leg felt. And the answer to that is not as good as I’d hoped, but better than I had feared. Honestly, I wasn’t sure I’d be able to finish the race. A couple of weeks ago, I wasn’t sure that I’d be able to race, period. I give my new physical therapist most of the credit for getting me to this point. I’m not assuming that I’m back on the “race 2x per week” plan. But it’s a start. Brian, glad to see you back racing again. Good stuff!